Customer Service…where you repeatedly say the same thing as if you’ve never said it before. I work for DePaul University Housing Services as a student front desk assistant. My place of employment is customer service oriented. The front desk acts as the first line of defense for the department, answering the questions from students and parents who have various concerns and issues about campus housing. The concerns of students and parents can range from being wait listed to not receiving their preferred building, room type, or roommate. Some of our callers/guests receive undesirable information pleasantly and with understanding while others do not. Those are the guests that have to be handled with care. It is important for me to approach each call/guest with a fresh approach giving them clear, consistent and correct information while ensuring that their individual needs are met. Doing this lowers the chance of receiving angry feedback. This brings me to the ‘5 Service Dimensions’-Reliability, Responsiveness, Assurance, Empathy, and Tangibles. Assurance consists of being an expert in whatever information you are conveying to your customer about your product or service. You simply have to know what you are talking about. When I first started this position, I was not well versed in policies, deadlines, procedures, etc. I listened to my supervisor and to my fellow student workers while they were on calls and speaking to guests, along with reading the department procedures. Now, 2 years in, I can regurgitate information in my sleep. 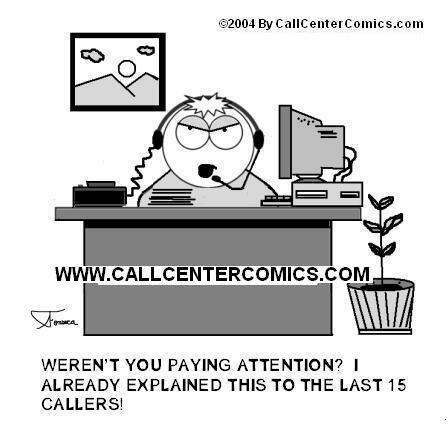 If you are an expert in your field, receiving an angry caller is not a big deal because you are able to inform them of clear, CONSISTENT information. Empathy consists of caring about your customers and whatever issue they may have. Whenever I am on an unpleasant call, it is important that I put myself in their shoes and try to understand where they are coming from so that I can assist them to the best of my ability. Tangibles consist of physical appearance of service environment and product. We have to make sure that the Department is organized, clean, and professional. This is not only benefits our guests but us as well. It is always easier to navigate and work in an organized space. Regarding customer service, which service dimension is the most challenging for you? ← Why Does the Sound Quality of My iTunes Parallel a 1970’s Lou Reed Album? Your work experience is a great example of the 5 Service Dimensions. It is not easy working in the service industry because you deal with all sorts of people from different walks of life. I can imagine it can be stressful dealing with unhappy parents and prospective students when it comes to housing situations because the DePaul experience is something new to them, and it is a fragile point in the lives of students, who are nervous to live away from home, as well as for parents, who are sending their children off the college. As you stated, having empathy and communicating the proper information to those unpleasant customers is the best way to go. I’m sorry you have to put up with stuff like this. Honestly, with any position dealing with people you will have your good days, decent days, and worst days of your life! Thinking and telling customers “you’re right and I will fix this problem for you” is something that takes a lot of maturity and patience to do. At the end of the day, I agree, customers are always right even if they’re wrong. The funny thing is customers rarely know what they want so it really is a double edged sword. With this, managing quality and giving the customer what they want shows you why there are classes on this subject. I too have had a lot of experience in customer service. All of these dimensions are challenging in their own way, but everyone has their speciality. This is why it’s good to always have a diverse work force so all the dimensions of quality can be met. I work with a very diverse team and together we keep our facility running at a very well- respected level and keep out patrons happy. Some of the managers are very knowledgable about policies and procedures, while others are very attentive to the environment and making sure everything is clean and orderly. Personally, I have always been the “empathizer”. I have had people yell at me for the craziest things, but I very rarely ended with a patron leaving unhappy. I don’t give them what they want, but I think of alternatives or make sure to express concrete reasons as to why they aren’t “right”. It’s challenging to ensure a customer’s satisfaction when you come across situations where they are far out of line. It’s all about balance and finding alternatives or compromises or making them realize themselves that they are wrong. In those situations, you have to be empathetic and attentive to the customer as much as possible. Couldn’t agree with this post more. I was asked to working our call center at work and I couldn’t take it for more than a month, before I transferred out of it. I have a really tough time with the constant whining and I didn’t have the empathy to care. I think there is a lot of people out there who expect others to fix their problems instead of taking time to actually think about their problem and fix it themselves. I must say you have more nerves than me to continue working in customer service. It’s funny though, because I can do customer service face to face and can handle it fine, but it’s something about being on the phone that people have a tough time understanding. Back to the article, you most definitely need these five characteristics to have a good career with customer service. Good post. I can see this relating closely to operations and as I have also been working in an environment where the customer is “always” right. The most challenging for me out of the five would be assurance. When I call anyone looking for information and they don’t know what they are talking about I can tell. This is especially important because the parents/ callers are more likely to work out difficulties with you if they feel you know what you are saying and are willing to help them out. In any day to day business these are all crucial points but without the correct management I can see any of these going very wrong. Customer service is key to any consumer type business and it is defiantly nice to hear when people enjoy their positions and treat everyone with a fresh attitude. I completely understand how you feel. I work in a customer service field at a hair salon and the hardest part to deal with is empathy. It’s not that I don’t care for the clients, but it’s hard to try to empathathize with someone who is complaining that their hairstylist doesn’t have time to do a cut after their hair is colored. I often feel like there are bigger problems in the world, and the client is inconsiderate of the stylist. 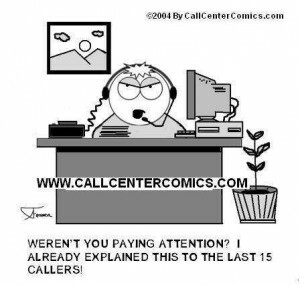 When clients get like this, I have to call other clients and try to make some changes in the schedule so I can fit this caller in. Some people can be really rude and unrealistic, but still I have to smile and say that they are right, and I’m wrong. Good article. While I’ve never worked in a customer service field, I have a lot of respect for those that do. I think that customer service is a tough job that takes a specific type of person to be able to do it well. I think that people who call customer service often forget that the person they are talking to more than likely did not cause their issue. So many people end up taking out their frustrations on the customer service representative. With that being said, I think the hardest service dimension would be empathy. After a long day, I think it would be challenging to empathize with every customer. Many customers are angry and want their problem fixed as soon as possible. As a customer service representative, I think it would be difficult to keep calm and hear the person out. Putting yourself in the other person’s shoes is definitely a must, but can be challenging to do when the customer is not polite. I like this post and I think customer service is still a dimension that is under appreciated. With companies downsizing and relying on online purchases more, outsourcing to other countries not well versed on our American business culture or history, and with companies overall goal to save money and cut costs I think customer service is a dimension that if revitalized could help more companies. I would struggle with reliability and responsiveness simply because if I have to wait on a supervisor or another person the customer is now waiting on an added factor in resolving their issue. I would just have to ensure that I’m emphasizing on the importance of the matter when coordinating with the proper persons. This post makes me think how customer service is very important. Yes, defiantly customer service representatives should keep customers satisfied in order to keep business growing. Companies have to concentrate with delivering high quality of customer service.I understand that providing great customer service is very challenging because customer expectations vary greatly. The author of this post made very interesting points about customer service. I believe if all customer representative handle their customers in a right way, then the customer would be very satisfied and there won’t be problems about customer service like with Best Buy recently. There were many times when I did not receive the right feedback from representatives or even they couldn’t answer my questions. Moreover, there were representatives who were not polite to me and couldn’t handle their voice tone in a right way. The most challenging dimensions for me is assurance and empathy. Representatives should know what they are taking about, and like the author of this post said putting yourself in their shoes makes you understand their needs and wants immediately. Very interesting post. Thanks for posting. This is a great post, very politically correct in it’s writing as I am sure it conjured some memories of most unpleasant phone calls. With that being said, empathy is something very hard for to deal with at times. A couple years back, I managed a trade desk for my firm, and it was very hard for me to be empathetic with irate customers. I was called a lot of names, and was blamed for trades these individuals placed in their own account. It was my fault, even though all I did was pick up the phone call after the market went the opposite direction in which the client needed it to go. It definitely takes a lot of patience and practice to show empathy especially when you may not necessarily agree with the client – but as you mentioned, they are always right. I can definitely relate to this, as I’ve worked in a bunch of jobs that involved customer service. In high school, I had a job in a call center doing surveys for car dealerships in an attempt to gauge the satisfaction of the customer. As you can imagine, there were plenty of unhappy customers. The worst, though, is the restaurant industry. Sometimes I would wonder why people even waste their time eating out if they are just going to complain the whole time. It’s hard to not get mad at customers sometimes, but it’s got to be done. Thanks for the post. Most of the comments that people are making is that they agree with the post, but is there really never a time the customer is wrong. It is true that the customer should always be right, but I firmly believe that this is not the case. If a customer is rude, ignorant, demanding, or any combination of the three they could be seen as wrong. Although each a company may lose this potential customer, sometimes there has to be guidelines and etiquette with regard to the customers interaction with a company. However, I must say that these type of customers are without a doubt outliers, and extremely rare. Sometimes a line needs to be drawn no matter the consequence. This is a great post. I work at the DePaul Help Desk and we are also customer service oriented. I answer the calls for the help desk line and I have dealt with the customers that were very unpleasant–it is just the part of the job that is unavoidable. I think Assurance is the most important area because you need to provide the customer with enough information to make him/her feel as if their issue is important, as you mention in the post. I very much enjoyed you post and I can relate. Great job! This is a great post about, “how customers are always right”. I work in retail business and whenever customer starts complaining I feeling like why do they think they can be always right. I just hate this sentences that (customers are always right). For me the most challenging is Reliability & Responsiveness. Because every complains should be taken serious doesn’t matter if customer is right or wrong. There are many time I have caught customer lie about smallest thing that you won’t imagine. Trust me working in retails is not easy to work with all this 5 Service Dimensions. There are times that I have experience that customer will start blaming employee for small things, or maybe they will start staying things that they shouldn’t be saying, they never understand our side when we are helping them. I can really relate to this just because I’ve been working in retail for the past two years. As a previous employee of Forever 21, dealing with customers can become a huge hassle. Unfortunately our store policy is store credit or exchanges only within 21 days. Many people are fine with it, but there are also many people who are not. It’s really difficult to try and compromise with the customer because we’re not allowed to do anything outside of the store policy, let alone our systems are unable to issue a refund to the customer. So this becomes an issue with reliability and responsiveness since we’re unable to give what our customers needed or even have them be satisfied with our policy. My business is in large part based on customer service. Our company sells auto, home, and life insurance and the dimension that I must deal with on a daily basis is Responsiveness and Assurance. I have quarterly meetings to re iterate the importance of responsiveness with the consumer. When a customer is interested in our product it is imperative for us to act immediately so as not to lose them to a competitor who beat my company to the punch. I also strongly try to encourage assurance for our consumer. Being in the insurance business, it is important for my agents and myself to be knowledgeable and informative to our consumer. There is nothing worse than realizing you have underinsured a client and put them at risk in case they should suffer a loss. I have been working in the customer service industry for years. From Starbucks, to local restaurant chains, to sales at Nordstrom and I can relate and understand that there is frustration when dealing with a certain small percentage of customers who will make daily operations more difficult and will cause stress, however, it is necessary to carry the customer is always right attitude in order to stand out as a premier leader in your industry. I have especially learned this after spending two years in a management position in my own company. I was attracted to your post because of the title and enjoyed reading what you had to say about dealing with different customers and situations. I have never been on your end of the customer service scale, but you are absolutely correct in addressing the 5 service dimensions as a means to best handle instances like this. Although I often find myself frustrated when having to deal with customer service, I do appreciate their interest and patience when helping me to solve a problem. This article has made me think about my “customer experience” with DePaul University. Two years ago I applied to DePaul University and two other public universities three months before the required deadline. DePaul was my dream school and was highly recommend to me by one of the community college professors. I received acceptance within three weeks from the other public universities. However, DePaul’s processing application was extended due to unknown reasons. When I checked online I continued to receive the same message, that my application was in the processing stage. I never received any emails about what I need to do in order to have my application successfully processed. On the 3rd of January, I arrived to school to find that I needed to pass the TOEFL exam due to regulations, even though my grade point average from the community college was a 3.7 GPA. Three days into the academic school year, I received a phone from DePaul that I was accepted and could attend with late registration because I already had earned a bachelor degree. It was my luck that someone had help me just by looking into my file and realizing that I should have been accepted. However, my bad luck was that I lost my transfer scholarship. Since then, things became better for me at DePaul University. We need to remember that we need to be professionals when we deal with others. No one ever explained to me what went wrong in the process. I think you raise some very valid points and examples in this post. I works as a sales associate at a high-end department store (not sure if I should mention the name), and it is a business model that is heavily built upon customer service. The entire pay is based on commission, therefore if you have an unhappy customer, it directly affects you. I definitely agree that all four points that you mention are essential in providing the best customer experience possible, particularly assurance and reliability, where it involves staying on top of product knowledge and protocol, or in your case, housing policy. If sales associates don’t offer any sort of expertise of new knowledge, than the customer would be better off shopping online. I agree with all your points and facts. The customer is the most important because they are why the company is in business. It is the companies duty to take care of them no matter what.If the company doesn’t take care of them the customer will go somewhere else. I have been working in a customer service field for over eight years between three different jobs. I have dealt with many different kinds of people. At each job there has been one or two situations when we “company and employees” couldn’t satisfy the customer. No matter what we offered or what we did they weren’t happy. At that point we just had to state “We are sorry but unfortunately we can not help you”. Even thou you want to help every customer there comes a time where you have too just say no or sorry. Your title is great! I also think those who work in customer service are a special, patient bunch because not everyone can deal with different customer needs in a mature way. I agree with your points because I have had bad customer service experiences and no longer buy certain products because of it. In the end, the customer will always be right because they are the ones providing the revenue for the company. To answer your question, I think the most challenging aspect for me is the responsiveness only because sometimes tough comments are made or requested and it is hard to approach the situation with maturity and patience.